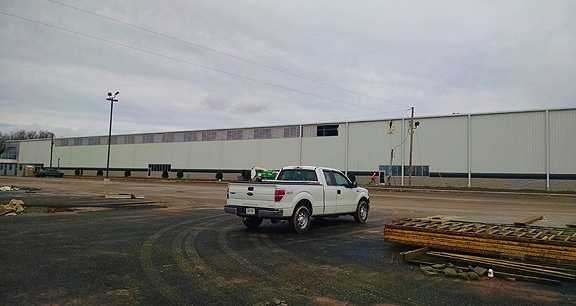 Project obstacles and solutions: Ficosa International is building a new mirror plant in Cookeville, Tennessee. The Hollingsworth Company is developing the $50 million, 270,000 square foot facility, which is on schedule to open in 2016. The specifications on the job called for 4,000 psi concrete slabs to include a polypropylene fiber for the purpose of controlling plastic shrinkage cracking. After issues with another supplier threatened to put the project behind schedule, the contractor, Concept Developments, turned to IMI to provide a mix that would meet engineering specs while maintaining the project schedule. IMI QC/QA determined the cause and mitigated the concrete issue previously dealt with by the contractor. A micro synthetic polypropylene fibrillated fiber was also utilized in conjunction with the concrete mix to deter plastic shrinkage cracking. Concept Developments used a power screed to move the concrete quickly. In addition, IMI added a non-chloride accelerator to the mix when the temperature dropped below 50 degrees F to achieve adequate concrete set times. IMI supplied 4,000 yards of concrete for the Ficosa floors allowing the contractor to complete the project on schedule. For more information on air content in floors or adding fiber to control cracking, contact the sales representative nearest your location. Click here.